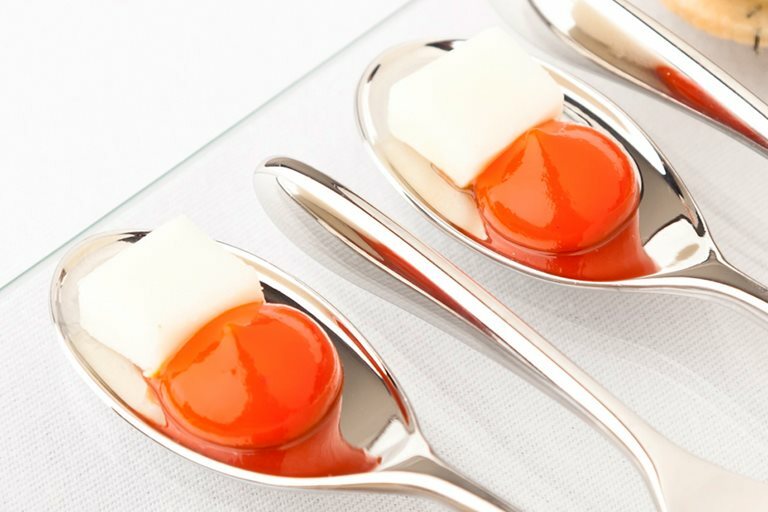 These little mouthfuls of silky, smooth red pepper purée and goat's cheese are even more stunning when served with Kevin Mangeolles' fennel and Parmesan biscuits. Try this goat's cheese canapé at your next party. Given the name of Chef Kevin Mangeolles’s restaurant – The Neptune, in Hunstanton, Norfolk – you’d be right to suspect that the chef has an affinity for quarry caught with net or hook.